We put together a list of the best med student resources from these categories in one easy to find place! You may notice a few are repeated if you need to use them in multiple categories. Don't hestitate to contact us if we left out any of you favorite resources! Mnemonic study aids to improve test scores. They turn important facts you need to know into pictures and stories you'll never forget. 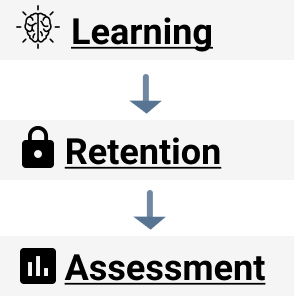 It's scientifically proven to decrease the amount of time you spend learning and retaining complex information and increase your knowledge - and scores. Comprehensive videos cover medical school microbiology, pharmacology, and pathology through illustrations of unique and unforgettable scenes. These guided sketches help you create a memory palace by associating medical topics with memorable visual elements. A tremendous resource in studying for USMLE® Step 1 and preparing for third year clerkships. Dr. Sattar's lectures cover all of the high yield pathology points. The most popular medical review book out there. First Aid is annually updated and contains an unmatched collection of more than 1,300 must-know facts and mnemonics to provide a complete framework for your USMLE® preparation and coursework! Review Kaplan's world-class video lectures at your own pace or attend live lectures by the most distinguished medical faculty in the industry at their full-service centers. Create a fully customized board exam study schedule and access more than 2,500 multiple choice questions and 15,000 Flashcards for exam prep. Forget $400 Q-Banks. Forget archaic review books. Firecracker is the only validated way to improve your board score by 16 points while helping you with courses & clerkships... all in one package. The #1 clinical learning platform used by over 80% of medical students across 191 countries. Hundreds of free videos and connected premium materials to help you ace your boards and become a better doctor! Becker Professional Education's approach emphasizes understanding over rote memorization. They provide students with exam-relevant, integrated content taught by experienced faculty along with the most up-to-date curriculum materials and resources you need to help you prepare for the USMLE® Step 1 Exam. Powerful, intelligent flash cards. Remembering things just became much easier. This handy set of flash cards helps you perfect your understanding of anatomy. Featuring the exquisite illustrations from Atlas of Anatomy, these flash cards are a valuable tool for studying, memorizing, and reviewing the most important concepts in human anatomy. Each card features a full-color illustration with key structures labeled numerically. These beautifully illustrated flash cards cover the essential pharmacology concepts you need to know for course exams and the USMLE® Step 1. Perfect for individual or group study, they're ideal for quickly mastering must-know information in this challenging field. Master the most challenging USMLE® exam with practice questions that have all been reviewed and/or updated within the last 12 months. Join the thousands of students who've gone that extra mile of preparation to achieve their dream residency. Forget $400 Q-Banks. Forget archaic review books. Firecracker is the only validated way to improve your board score by 16 points while helping you with courses & clerkships… all in one package. Assigns you daily and weekly study tasks - prioritizing current class material & any weak areas – to ensure you don't forget anything. Over 1,600 USMLE®-style questions Questions focus on high-yield topics and require multistep critical thinking. They are up-to-date, include illustrations and detailed explanations, and were developed to the latest NBME standards. *Lecturio also comes with video lectures, 10,000+ recall questions, and 750+ textbook articles!